This useful and comfortable suspender is designed for child. It is made of soft cotton elastic material, fully elasticized and fully adjustable, and one size fits most. And it is applicable to babies 0 - 24 months. So do not hesitate and get your own suspenders. - Make your baby safe and pleasant, with the baby near your chest, it is convenient for your breastfeeding. - Free your hands, with baby wraps, you can have both hands free to work, such as going for a walk, shopping or doing housework while taking care of your little baby. 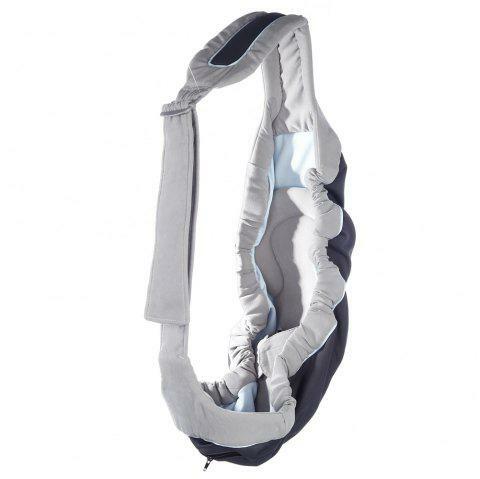 - Keep you comfortable, the sling makes it easy to counteract the baby's weight with your pack. You will no longer get tired or get any sore muscles when holding your baby. - Suitable for baby 0 - 24 months.